The Department of Archaeology, History, Religious Studies and Theology has a full-time PhD position vacant for applicants who wish to obtain the degree of Philosophiae Doctor (PhD). The position is attached to the research project Unruly Heritage: An Archaeology of the Anthropocene. The appointments are fixed term positions for a period of four years. The candidate will be affiliated with the Faculty’s organised research training, and the academic work must result in a doctoral thesis aiming to obtain the degree of PhD within the period of employment. Admission to a PhD programme is a prerequisite for employment, and the programme period starts on commencement of the position. The successful candidate must meet the requirements for admission to the Faculty’s PhD program, cf. § 6 of UiT PhD regulations. Moreover, the applicant must prove English language proficiency equivalent to the standards of Norwegian Higher Education Entrance Qualification, see PhD Regulations UiT. For more information, see also uit.no/hsl/phd. The PhD candidate will be affiliated with the Department of Archaeology, History, Religious Studies and Theology and the research project Unruly Heritage: An Archaeology of the Anthropocene. This is a five-year research project funded through the Norwegian Research Council’s Toppforsk program and led by Professor Bjørnar Olsen. A postdoctoral position has been announced and together with three existing PhD Candidates and two Postdoctoral Research Fellows, the team will comprise seven recruitment/research positions in addition to the Project Leader. The research area of the PhD candidate is contemporary archaeology, broadly defined, and the objective of the new position is to contribute to the building of a dynamic and internationally leading research environment in contemporary archaeology at UiT, a development started with the earlier Ruin Memories project and continued through the on-going Object Matters project (http://objectmatters.ruinmemories.org/). The appointed Doctoral Research Fellowship must have her/his daily workplace at the UiT, campus Tromsø. According to UNESCO’s definition, heritage is “our legacy from the past, what we live with today, and what we pass on to future generations”. While exemplary inclusive, this hardly reflects concern for the fact that our legacy is becoming increasingly mixed and messy: landfills, archipelagos of sea-borne debris, ruining metropolises, industrial wastelands, sunken nuclear submarines and toxic residues in seals and polar bears. Our legacy has become so conspicuously manifest it has become diagnostic of a new geological epoch, the Anthropocene. While this palpable legacy has triggered debate within the heritage field, it has rarely been considered as heritage itself and thus led to any profound rethinking of the way heritage is conceived and understood. The new research project, Unruly Heritage, aims at undertaking this rethinking. 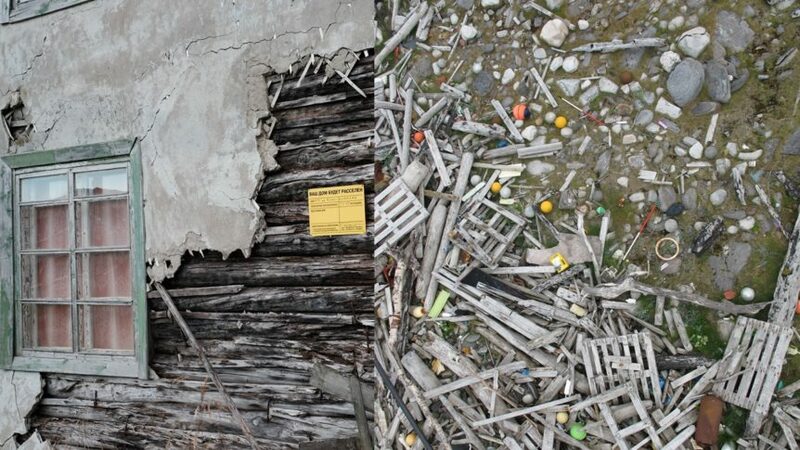 Based on extensive case studies of modern ruin landscapes and sea-borne marine/coastal debris, the main objective is to develop alternative and less anthropocentric understandings of heritage. For this PhD position we welcome innovative studies exploring how new approaches to this Anthropocene legacy may challenge existing heritage conceptions. The dissertation topic must relate to one of the project’s two main case studies, sea-borne marine/coastal debris and modern ruin landscapes. The first focuses on how the growing problem of marine debris, by drifting, assembling and surviving irrespective of human plans and preferences, makes conspicuous the unruly afterlife of things. Taking seriously how this hybrid legacy impugn the values, order, and divides upon which much heritage rest (e.g. nature/culture), the aim is to develop alternative and more ecologically adept heritage understandings, rethinking notions of e.g. management, stewardship and conservation. The second case study focuses on abandonment and ruination of Soviet-time towns and settlements on the Russian Kola Peninsula (with the possibility of comparative cases from elsewhere). It explores the consequences of living with a persistent Soviet legacy; how it challenges notions of memory and time, and how the viscosity of this material past complicates traditional notions related to historical succession and chronology. Like the first case, it also focuses on how these emerging ruin landscapes challenge heritage’s commitment to an orderly and divided world, in which nature and culture, past and present, preservation and loss, are kept apart. The position requires a Master`s degree in archaeology or a related discipline (including but not limited to architecture, cultural geography and heritage studies), or a foreign degree recognised as equivalent to a Norwegian Master`s degree. The grade B or better in the Norwegian grading system for the Master’s thesis, is required. In addition, he/she must be able to document proficiency in English equivalent to Norwegian Higher Education Entrance Qualification, see more info on the website about PhD regulations at UiT. For candidates proposing studies related to Soviet heritage in the Russian north, a good command of the Russian language is preferable. Personal suitability will be taken into account. The normal period of employment is four years. The nominal length of the PhD programme is three years. The fourth year, distributed as 25 % of each year, is reserved for teaching or other academic duties within the university. Please consult the PhD Regulations UiT for further information. The position will especially be assigned teaching duties within archaeology. A shorter period of appointment may be decided upon if the applicant has already completed parts of his/her research training programme or if the appointment is based on a previous qualifying position (PhD Candidate, research assistant, or the like) in such a way that the research training amounts to a total of three years. code 1017. A compulsory contribution of 2 % to the Norwegian Public Service Pension Fund will be deducted. The application must be submitted electronically via the application form available on www.jobbnorge.no. other works (published or unpublished) which the applicant wishes to be taken into consideration during the assessment process and a description of these. In addition, consideration may be given to work experience or other activities of significance for the implementation of the PhD research. This includes teaching education, teaching experience, experience from popularisation and experience/education from other types of dissemination. The best qualified applicants will be selected for interviews. The interview shall among other things aim to clarify the applicant’s personal suitability for the position. Applicants will find useful information in the supplementary regulations concerning terms and conditions of employment for the position of postdoctor, research fellow and research assistant at UiT and the regulations concerning terms and conditions of employment for the position of postdoctor, research fellow and research assistant. UiT’s HR policy objectives emphasises diversity, and encourages all qualified applicants to apply regardless of gender, functional ability and national or ethnic background. UiT is an IW (Inclusive Workplace) enterprise, and will make the necessary adaptations in order to facilitate for employees with reduced functional ability.